By LORI WINCE, ThisWeek Community News Posted Jun 8, 2015 at 12:01 AM Updated Jun 9, 2015 at 9:29 PM The North Central Regional Center of Canine Companions for Independence, a national company that trains dogs to work with the disabled, is preparing to relocate to New Albany. The North Central Regional Center of Canine Companions for Independence, a national company that trains dogs to work with the disabled, is preparing to relocate to New Albany. Company officials plan to build a complex on 16 acres near New Albany-Condit Road and will move from facility on state Route 37 in Delaware, though they say the timeline depends on a capital fundraising campaign. 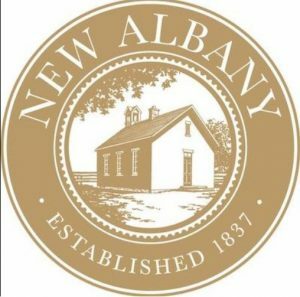 New Albany City Council on June 2 voted 6-0, with Councilman Mike Mott absent, to rezone 5 acres at 7444 New Albany-Condit Road for the project. Jennifer Chrysler, the city’s community-development director, said the land would be added to 11.7 adjacent acres for the new facility. Joe Parrish, president of the company’s North Central Regional board, said his is the company’s only region without a full campus. He said the current facility is about 5,000 square feet. The facility planned for New Albany would include three buildings totaling 58,000 square feet. Megan Koester, the North Central Region executive director, said the facility would have an indoor kennel for dogs in training. The site would include an administrative building and a training center with a dormitory for clients being trained to use the dogs. She said the nonprofit company uses donations to offer dogs to clients at no charge and dormitories would save adults, veterans and children from paying hotel costs and food expenses during the two-week training. “That’s the big bonus of having the dorms,” Koester said. Koester said the North Central Region is the last to add a training center with dormitories. She said no timeline has been established for construction because it depends on completion of the capital fundraising campaign. Denise Parrish, another North Central Regional board member, said noise would not be a factor at the New Albany site because the dogs are trained not to bark. City Council members got to see Joe Parrish’s companion, Ansel III, in action during the meeting. Ansel remained calm and quiet as City Council chambers became busy with recognitions for the New Albany High School softball team and three youths involved in a rescue incident. Parrish said the dogs are trained to close doors behind people in wheelchairs, push the large buttons that open handicap-accessible doors and retrieve items from the floor for their owners. Each dog has to master 40 commands before graduating from training and being placed with a client, Koester said. The North Central Region provides trained dogs for people in 14 states, Joe Parrish said. Parrish said he has had Ansel for three years. He said he started using a wheelchair five years ago after being injured in a boating accident in the Dominican Republic. He said he has some mobility in his lower right side but not on his left. Chrysler said the Rocky Fork-Blacklick Accord Implementation Panel, which reviews zoning changes in adjacent areas of Columbus, New Albany and Plain Township, and the New Albany Planning Commission both recommended approval of the zoning change in May. Canine Companions for Independence was founded in 1975 in Santa Rosa, Calif., and has six regional training centers, according to the company’s website. Koester said the North Central Region has been in Delaware for 20 years.